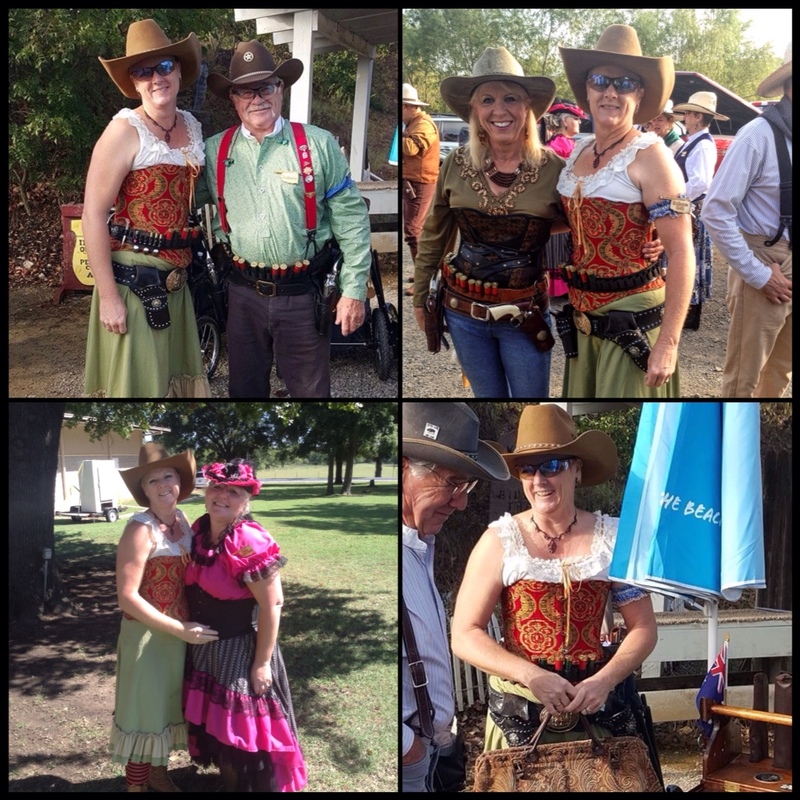 This past weekend was the Oklahoma State Championships, Ruckus In The Nations, held in Sand Springs at Zink Ranch. 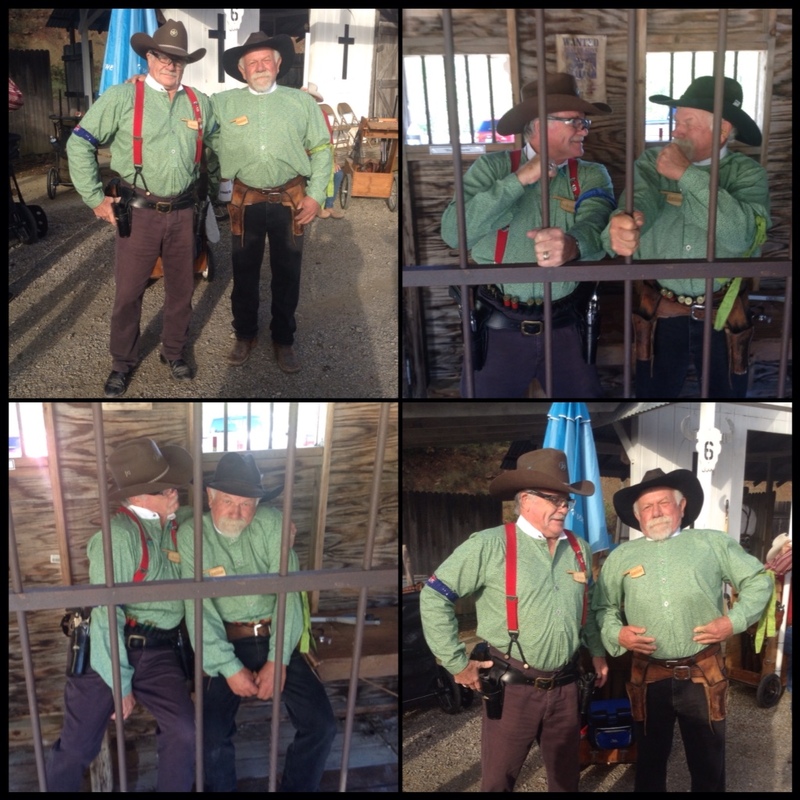 The ITSASS club put on the match with Match Directors Burly Bill and Catoosa Red heading the team. The weather was kind with only a light sprinkle on the Friday. 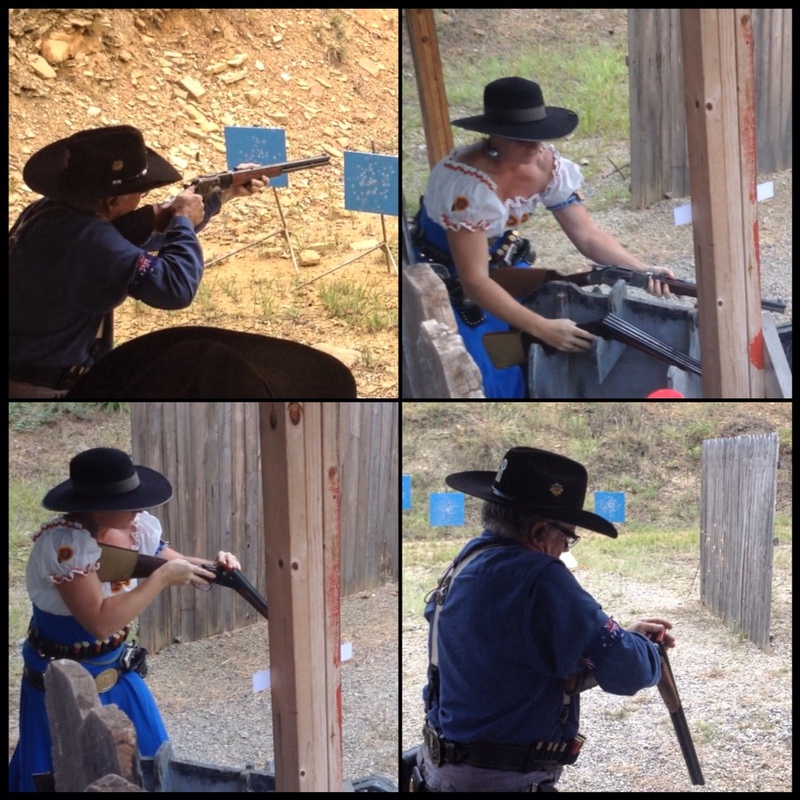 Thursday was side match day where you could have fun wih plenty of laughs. 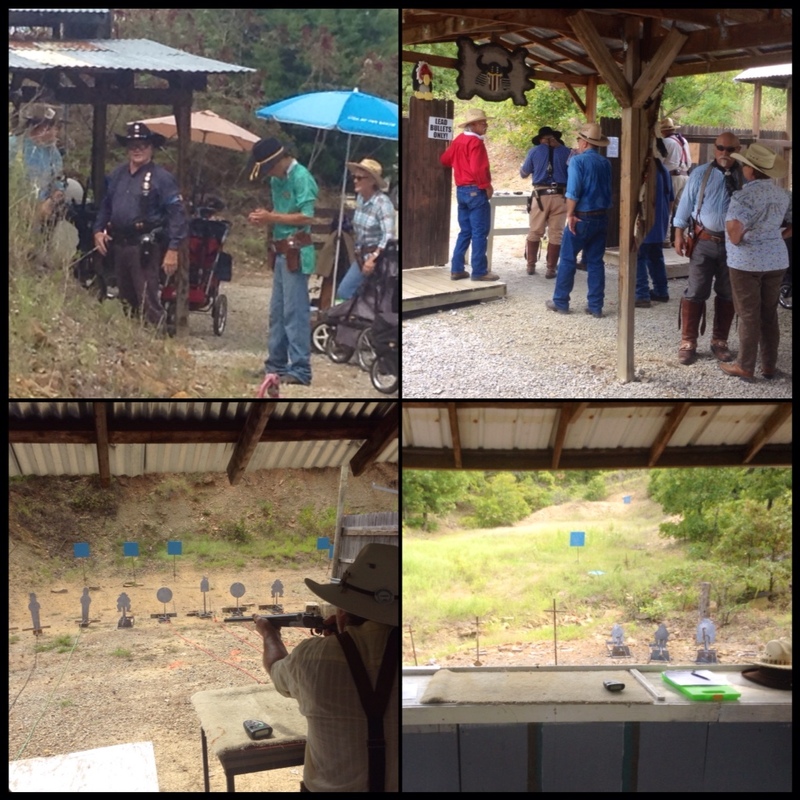 Friday was main match day, 150 shooters gathered and headed out to be with their posse to get 5 stages done for the day. We were on Posse 1 with Ambler, Naildriver, Creek County Kid, Snake Oil George, Matt Valentine, Montana Dan, Tail N Kid, Stumpman, K D Steel, Oklahoma Tequila Rose, Red Knee, Scott Wayne, Fort Worth Dallas, Cherokee Runner, Deadeye Dillard and Calloway. 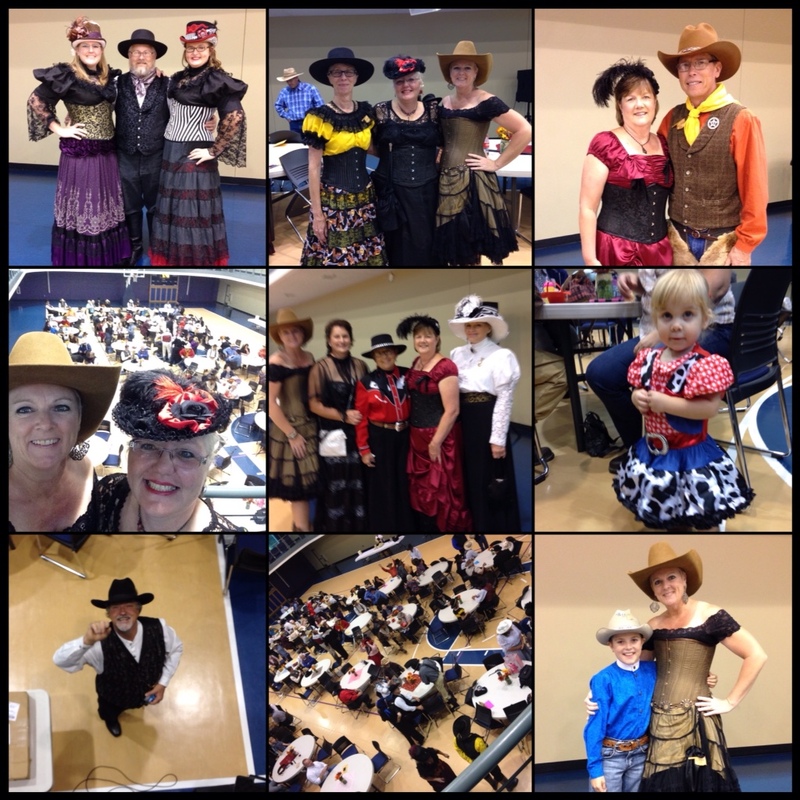 An awesome Posse, we had a lot of fun! That night it was potluck dinner and side match awards. See results below, I won a few and Jack won the Speed Rifle! Now a while back, actually think it started when we were back in Australia. Ambler asked if I was making Jack a leprechaun outfit. Well that grew to more banter between them and it never really stopped. I decided to fix him and made the two of them matching shirts. 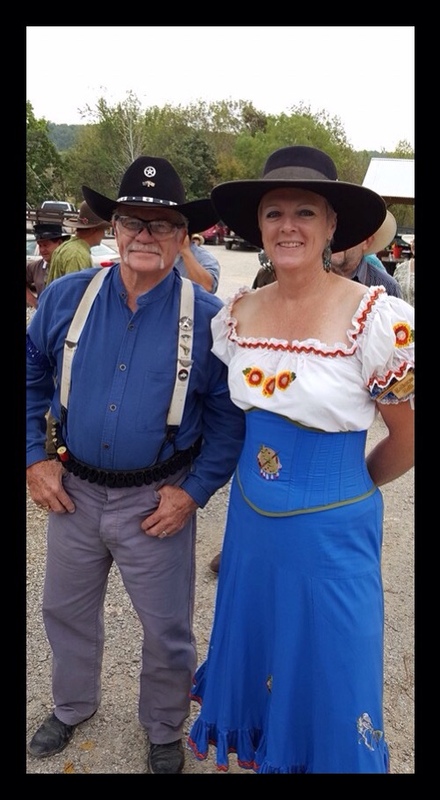 All in good spirit, they wore them on the Saturday for the final 5 stages. Great photos! 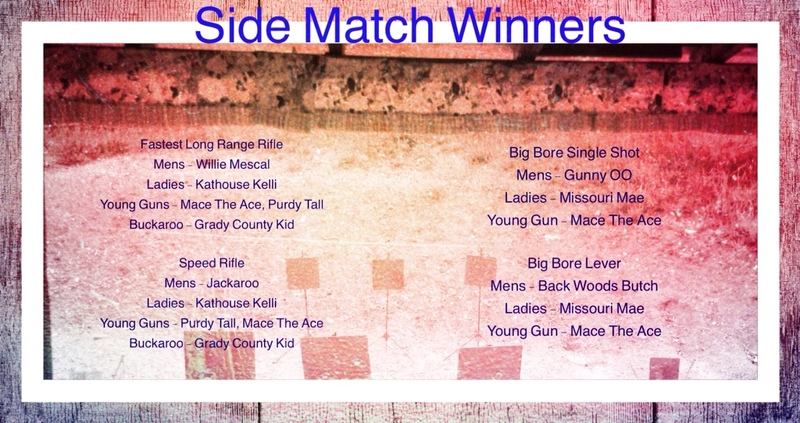 All in all, a great match, thanks to Burly Bill, Catoosa Red and their helpers! 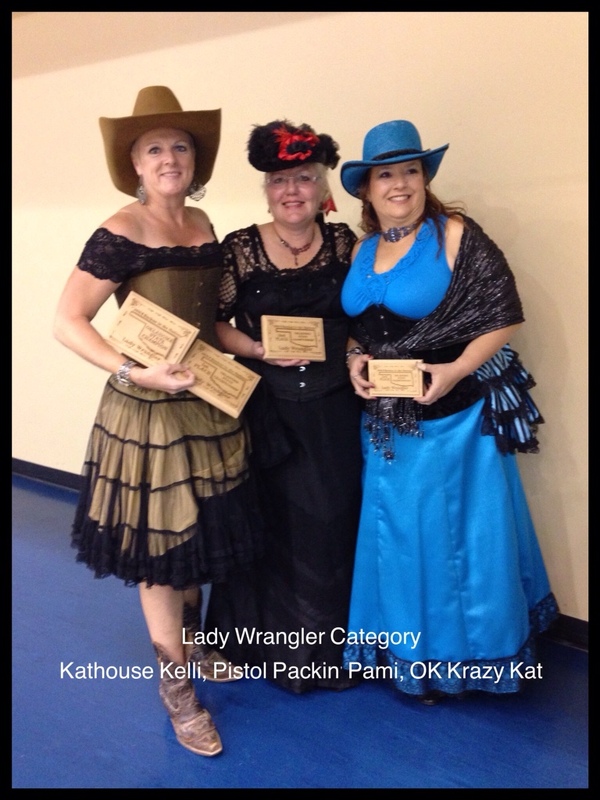 I won Lady Wrangler category with Pistol Packin' Pami 2nd and OK Krazy Kat 3rd place. 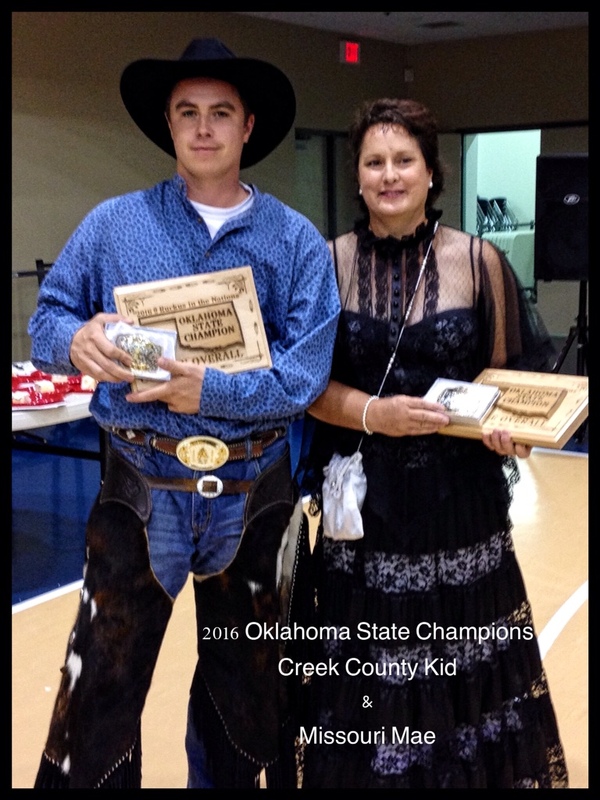 Overall winners goes to Creek County Kid and Missouri Mae! A huge congratulations to both of you!